The Mica Band Heater Inner Diameter Is 1.00", And The Band Heater Width Is 1.50". The Band Heater Has 10" Long Fiberglass Leads. The Band-heater Is 480 Volts And 150 Watts. The Pictured Mica Heater Is For Reference Only. The Mica Band Heater Inner Diameter Is 1.00", And The Band Heater Width Is 2.00". The Band Heater Has 10" Long Fiberglass Leads. The Band-heater Is 480 Volts And 300 Watts. The Pictured Mica Heater Is For Reference Only. The Mica Band Heater Inner Diameter Is 1.00", And The Band Heater Width Is 3.00". The Band Heater Has 10" Long Fiberglass Leads. The Band-heater Is 480 Volts And 300 Watts. The Pictured Mica Heater Is For Reference Only. The Mica Band Heater Inner Diameter Is 3.00", And The Band Heater Width Is 2.50". The Band Heater Has 18" Long Fiberglass Leads With Stainless Steel Braid Protection And A Strain Relief. The Leads Are Locating 180 Degrees For The Gap Of The Heater Band. The Band Heater Has Welded On Barrel Nuts And Is 480 Volts And 750 Watts. The Mica Band Heater Inner Diameter Is 4.75", And The Band Heater Width Is 1.50". The Band Heater Has 10" Long Fiberglass Leads. The Band-heater Is 480 Volts And 600 Watts. The Pictured Mica Heater Is For Reference Only. The Mica Band Heater Inner Diameter Is 4.81", And The Band Heater Width Is 2.00". The Band Heater Has 10" Long Fiberglass Leads. The Band-heater Is 480 Volts And 760 Watts. The Pictured Mica Heater Is For Reference Only. Mica Band Heater 4.91" Inside Diameter 2.5" Width 240/480 Dual Voltage 720watts. Heater Band Has 36" Fiberglass Leads With Welded On Barrel Nuts. The Heater Band Can Be Expanded 1-2 Times To Allow It To Be Fitted Anywhere Onto The Barrel. 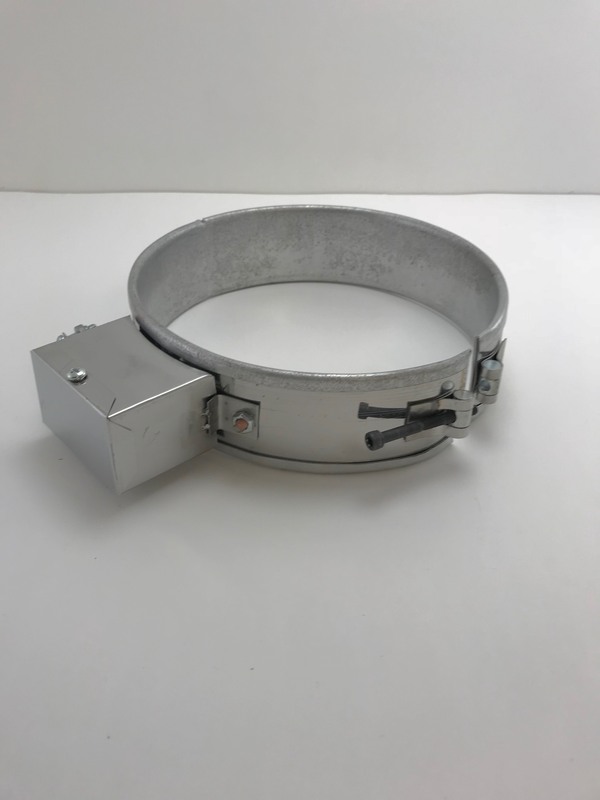 This Heater Band Is Similar To Milacron Part Number 3991263-3. The Mica Band Heater Inner Diameter Is 7.40" (190mm), And The Band Heater Width Is 4.90"(125mm). The Band Heater Has Post Terminals And Is One Time Expandable . The Band-heater Is 480 Volts And 2600 Watts. 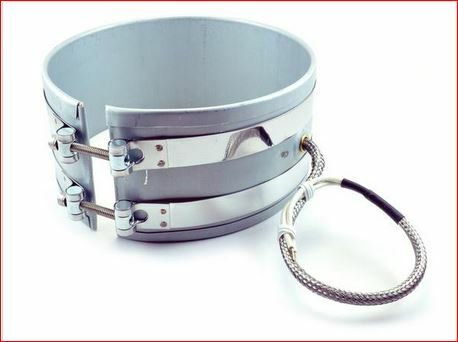 This Band Heater Has Standard Clamp Straps. It Is Similar To The 8h1901253-74 Band Heaters. 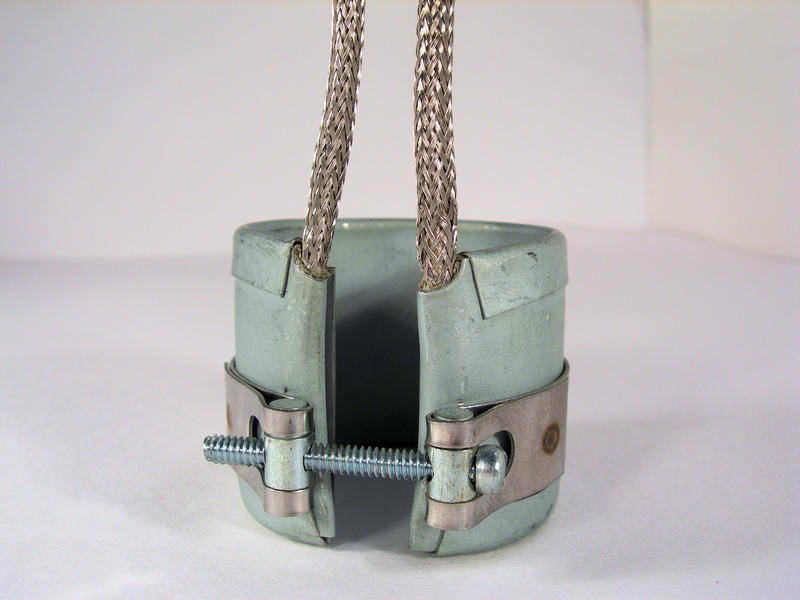 The One Piece Mica Band Heater Inner Diameter Is 7.50", And The Band Heater Width Is 2.00". The Band-heater Is 480 Volts And 1000 Watts. The Pictured Mica Heater Is For Reference Only. The Band Heater Inner Diameter Is 9.438", And The Band Heater Width Is 4.7". The Band Heater Has Post Terminals And Dual Voltage. The Band-heater Is 240/480 Volts And 3425 Watts. Compare To The 5032153c Heater Band. The Pictured Band Heater Is For Reference Only.